On this site you will find information about our courses, services and activities, etc. with regard to French and France. When you are interested in one of our courses, you are more then welcome for a free trial lesson without any engagement. When you are interested in one of my services, activities, etc, please call or e-mail us for more information. The tailor made courses can start any time of the year. The regular courses start in September and October. The French Cafe of the Netherlands “5 sur 5”. Finally an occasion in The Netherlands to speak French outside the lessons.  The Cafe is also open if you do not follow any lessons at Voici La France. Places are limited, click here for more information. E-learning through via webcam, e-mail or phone is also possible. A number of courses can be followed without having to leave your home or company. Multiple lesson ticket are available to take separate French lessons. The ideal way to learn French when you do not want to be tied to fixed dates. Within the validity of the ticket you can indicate when you want to follow the lessons. There are tickets of 3, 6 and 10 lessons. You can stay up to date with the Nieuwsbrief (Newsletter), a page with news and tips about France and the French language. When you want to know more about our courses, services, activities, etc. regarding the French language and France, please contact us.